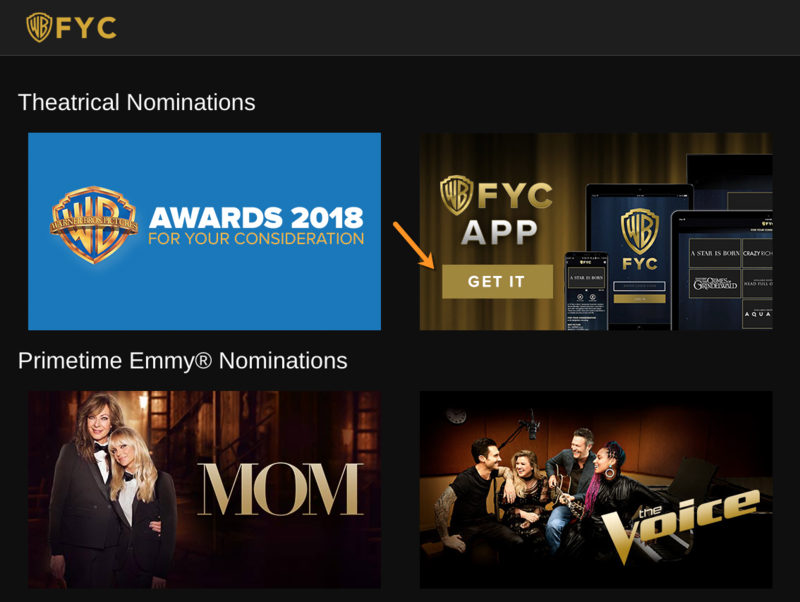 Warner Bros. operates two FYC Awards portals: one for Theatrical and one for Television. The WBFYC App is a new app and it bridges both Theatrical and Television so we have links to it on both portals. We may eventually have only one awards portal but for now there are two! You will notice that there is a section to take you to our WBFYC App Splash Page by clicking on the "GET IT" button which takes you to wbfyc.com/app/.